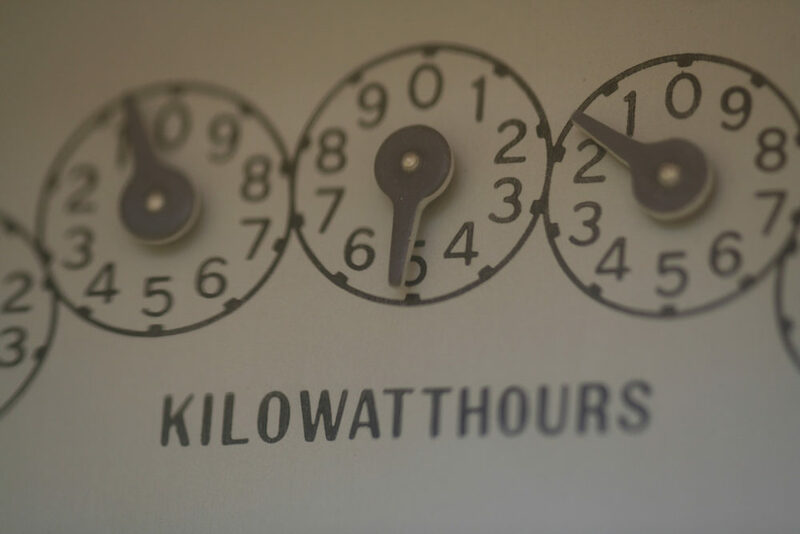 Millions of dollars worth of energy conservation programs are on the line as Iowa and Kansas consider changes to how they calculate the benefits of energy efficiency programs. What’s the benefit of swapping out an inefficient light bulb? How about weatherizing a home or replacing an appliance with one that uses less power? How a state answers these question determines which energy conservation efforts are funded by utilities and which ones get scrapped as too costly. The methods for making the calculations are up for debate in two Midwest states with millions of dollars worth of efficiency programs on the line. In Iowa, a utility is lobbying to narrow how the benefits are defined, which would likely result in fewer or less generous rebates to customers. And in Kansas, a bill by efficiency advocates that would expand and formalize the list of benefits considered in that state faces opposition from utilities. Most states require utilities to offer rebates or other programs to help customers conserve energy. The programs help lower individual customers’ bills but also hold down costs for all ratepayers by delaying the need to build new power plants or add generation from other sources. Utilities typically propose a portfolio of programs designed to hit spending or savings targets set by the state. The proposals are generally vetted by regulators based on one of three cost-effectiveness models. The “utility cost” test only considers costs and benefits directly incurred by the utility. Only five states use this model, including Michigan. The “total resource cost” test factors in costs and benefits incurred by both the utility and customers who participate in the programs. This is the most common model, used in 29 states including most in the Midwest. The “societal cost” test, the broadest measure, adds up costs and benefits for society as a whole. Six states including Iowa and Minnesota use this model for evaluating the cost-effectiveness of utility energy efficiency programs. In practice, no two states apply the models the same way. Each state has its own assumptions about what counts as a benefit, and about the only thing that’s consistent, efficiency advocates say, is that benefits are undervalued. “If there’s an overall failure, it’s an understatement of benefits,” said Tom Eckman, a consultant and efficiency expert based in Portland, Oregon. Assigning numbers to costs, it turns out, is far easier than assigning them to benefits. As a result, more costs than benefits are included in cost-effectiveness calculations. States often leave out hard to quantify benefits such as lower carbon emissions or reduced financial pressure on low-income households. “It takes more work to estimate the benefits, like productivity and comfort,” said Martin Kushler, one of the authors and a senior fellow specializing in energy efficiency for the American Council for an Energy-Efficient Economy. Eckman and Kushler were part of a panel of experts who helped develop the National Standard Practice Manual, an attempt to make energy efficiency screening more uniform, transparent and comprehensive. The manual, published last May by the National Efficiency Screening Project, urges states to vet programs based on clearly articulated policy goals, and it stipulates that costs and benefits should mirror one another: any cost should be accompanied by an estimate of associated benefits, even if it is zero. Members of the project have been pitching the approach to state regulators around the country. Rhode Island has adopted the principles outlined in its manual. Regulators in Minnesota, Arkansas, and Washington are all reviewing it, and a case study is likely to be completed this year in Minnesota. In Kansas, a bill backed by the nonprofit Climate + Energy Project would replace the state’s current tests, which include the total resource cost test, with one based on the National Standard Practice Manual. “Kansas needs to review its [total resource cost] test to ensure that it is offering a balanced analysis of energy efficiency programs,” said Dorothy Barnett, Climate + Energy’s director. She was involved in drafting the bill. The Kansas Legislature passed the Kansas Energy Efficiency Act in 2014, but moving efficiency programs through the tests has been difficult, Barnett said. The state’s two largest utilities, Westar and Kansas City Power & Light, generally oppose SB 347, which had a hearing last week in the state Senate utilities committee. In Iowa, meanwhile, a bill (SF 2311) that passed out of the Senate Commerce Committee last week would replace the state’s societal test with a total resource cost test. It could now get a full vote in the Senate. Amendments made in committee would require customers to opt in to pay for efficiency programs, which could drain them of funding. It also would require each individual initiative pass a cost-effectiveness test on its own instead of evaluating the portfolio as a whole. The bill was introduced in an earlier form (SSB 3093) by State Sen. Jake Chapman with support from Interstate Power & Light, one of the state’s largest investor-owned utilities. Separately, Iowa’s other major utility, MidAmerican Energy, is asking state regulators to allow it to ditch the societal test when evaluating its next five-year energy conservation plan and instead evaluate it with a more limited total resource cost test. The changes, according to energy efficiency advocates, could mean free in-home energy audits are replaced with online tools, for example, or the phase-out of rebates for more expensive purchases such as insulation in favor of perks related to LED bulbs, power strips, or low-flow showerheads. While the national manual attempts to address weaknesses with cost-effectiveness calculations, Steven Schiller, a consultant who worked on the project, conceded that it, too, has problems. Quantifying costs and benefits is perhaps as much art as science, he said, forecasting is never certain. And that supply-side resource in many cases would be natural gas, he said, with its highly volatile and hard-to-monetize cost. One customer used programmable outlet timers cut his peak demand to a third of what it was before he got creative. Kansas utility regulators approved a new demand fee for Westar Energy that only applies to solar customers. An Iowa utility is changing course after it faced criticism for inviting customers to pay more for electricity from existing solar capacity.